TDP's founders, Swargya Nandamuri Taraka Rama Rao, 22th veneration celebrations were held in the district headquarters under the guidance of Anantha Mayor, Madamandhi. MLA Shamanthakamani along with senior party leaders Subrahmanyam, paid tribute to the NTR in the district party office. 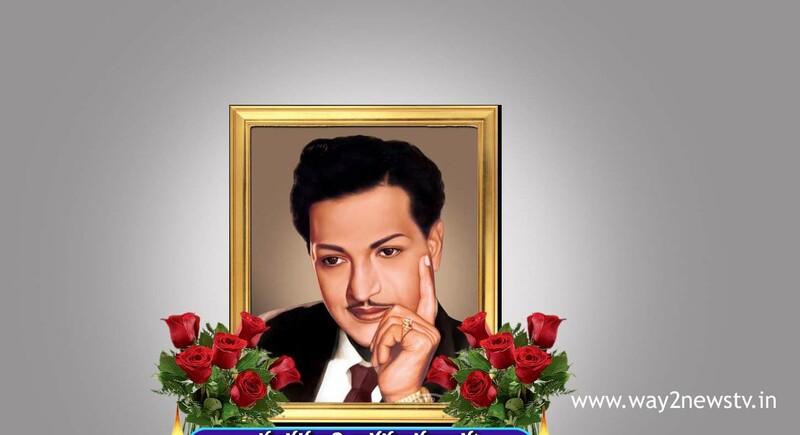 Subsequently, the NTR statue in front of the Government Arts College has flourished. Later, under the supervision of the Mayor, local Tower Clock participated in the NTR wreath programs organized before the Municipal Corporation and made huge floral flowers for his paintings. They spoke on this occasion. Mahatma NTR, who has sung for the Congress rule for three decades in the state. NTR is the great leader of all parties who said that the party's victory in the immediate aftermath of the party's founding on March 29, 1982, was not the highest level of power. Within just nine months, the party was founded by the Congress party in Andhra Pradesh, unveiling the unilateral power of the Congress party. Continuing with the demands of NTR, our Chief Minister Nara Chandrababu Naidu is developing the state in all respects and in all areas. Everyone called for NTR's motives and called for him to follow in his footsteps. In this program, the chairman of the library chairman Gaus, Kapu Corporation Royale Murali, Deputy Mayor Gampanna, Arban Bank President JL Murali, TDP City Presidents Adinarayana, Corporators Rahamat Bey, Sarala, Rajarao, Ramana, Lakshmi Reddy, Vijayashree, Natesh, Krishna Kumar, Munwar, Balakrishna, Pawan Kumar, Bughya Chaudhary, Lingayareddy and others participated.